Chicago, IL—The Terra Foundation for American Art and Art Bridges announced today the details of the first collaborations for Terra-Art Bridges (TAB), a new $15 million initiative to examine and test new approaches to sharing collections, increasing scholarship, and expanding access to and experiences of American art. As part of the first cycle of grants for TAB more than $2.4 million has been awarded to the Detroit Institute of Arts (DIA) and the Museum of Fine Arts, Boston (MFA). The DIA and the MFA will work with regional partners to co-create traveling exhibitions that bring important works of American art to new audiences in largely non-metropolitan areas. 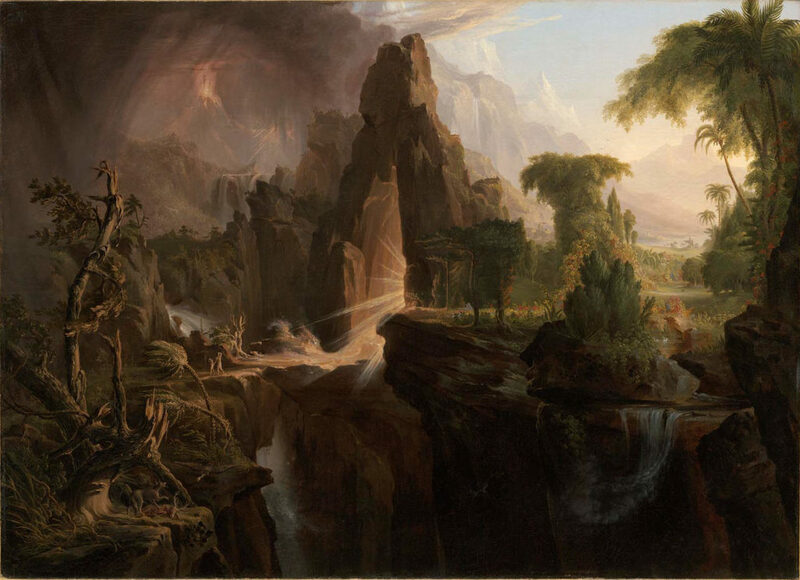 In addition to the implementation monies provided to the DIA and the MFA, the Philadelphia Museum of Art (PMA) was awarded a research-and-development grant, and discussions about similar exploratory grants are taking place with the Brooklyn Museum, the Smithsonian American Art Museum (SAAM), and the Los Angeles County Museum of Art (LACMA). Terra-Art Bridges is a six-year program that will establish partnerships among a wide range of institutions from across the US, creating a network that is expected to generate exhibitions across more than 80 museums and arts venues and serve a spectrum of audience interests and needs. To ensure participation from museums from every area of the country, TAB is also working with the American Alliance of Museums (AAM) to identify the pool of potential organizational partners. AAM used its own data about the nation’s museums along with interactive mapping tools and data from the U.S. Census to allow the Foundation to identify communities with strong art museums that might benefit from loans of art as envisioned by the project. For its Terra-Art Bridges program, the MFA is developing a six-year collaborative partnership with the Fenimore Art Museum (Cooperstown, NY), Michele and Donald D’Amour Museum of Fine Arts (Springfield, MA), Munson-Williams-Proctor Arts Institute (Utica, NY), and the Mattatuck Museum (Waterbury, CT). These partners were chosen in part because of their geography—spreading out across the Northeast—as well as for their collection strengths: the Fenimore has depth in Native American objects and Folk Art; the Munson-Williams-Proctor in period rooms and twentieth-century modernism; the D’Amour in works on paper; and the Mattatuck in twentieth-century design and ephemera. In the first phase of the project, the MFA will initiate a series of object loans to these partner museums, while colleagues from these institutions will concurrently work together to develop exhibition ideas. This will be followed by the creation of several small-scale exhibitions, drawn from the MFA’s collection, which will be produced with and displayed at each of the partner institutions. The project will culminate in two larger-scale exhibitions that mine the richness of the combined collections of all the partnering museums. Throughout this process, special attention will be paid to audience engagement, and how exhibition content, organization, and installation should change between venues to ensure relevance in different communities. The DIA is developing four exhibitions for Terra-Art Bridges, with a goal of reaching up to 19 Michigan venues over a six-year period. For the first stage of the project, the DIA has developed two exhibitions drawn from the Manoogian Collection of American Art, one of the most important private collections of its kind, which will be presented at up to 11 potential venues over three years. The DIA will also collaborate with Michigan cultural organizations to develop new exhibitions drawn from the DIA’s American, African American, Native American, Folk, and/or Contemporary collections that will serve up to eight additional venues. The DIA will also partner with teachers in schools across Michigan to develop educational programs that complement the exhibitions and facilitate professional development opportunities for staff at all the partnering museums and venues. Art Bridges, Inc., is a 501 (c)(3) focused on sharing outstanding works of American art with audiences who have limited access to our country’s rich artistic heritage. Collaborating with museums and institutions of all sizes and in all parts of the country, Art Bridges helps create and fund exhibitions, bringing together artwork from museum partners, private lenders, foundations, and a collection that will be established as a part of Art Bridges. Possible partner institutions range from large museums with deep collections they are unable to fully display, to small and mid-sized museums seeking to share a wider range of artworks with visitors. The exhibitions supported by Art Bridges will include in-depth educational and interpretive materials and will range from single-object loans to fully developed thematic exhibitions. Additional information, including a list of works currently in the Art Bridges’ collection, is available at artbridgesfoundation.org.